Monday was the deadline for the Waikato painters. As coordinator for the region, Darcy Perry reports on his Hits To Kill blog that he was particularly happy to receive all the miniatures back on time. 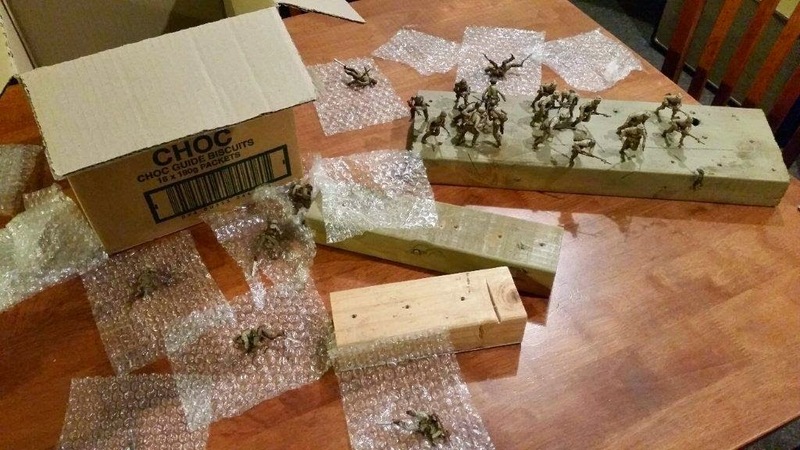 "However, one volunteer returned his miniatures unpainted," added Darcy. "Fortunately I had purchased three cans of Dark Earth and Dark Yellow, so it was back to cleaning, assembling, spraying and painting." Above: The last few completed. "Spending an afternoon at the table with Bobby last week had certainly honed my army painting skills. The best advice he gave me was whatever you do on one, you do on all of them. So choose your level of detail wisely! After a late night and early morning with the brush, the last box of Turks went south today." Now Darcy says he can finally relax and countdown the days until the opening of The Great War Exhibition. "It has been an honour to be part of this project and the WW100 programme," he says. "My thanks go out to the other volunteers around the country that have inspired me with their painting and stories." Darcy is still tuning in to this blog as the diorama project continues. His friend Rob in Wellington will be helping with terrain during the installation. 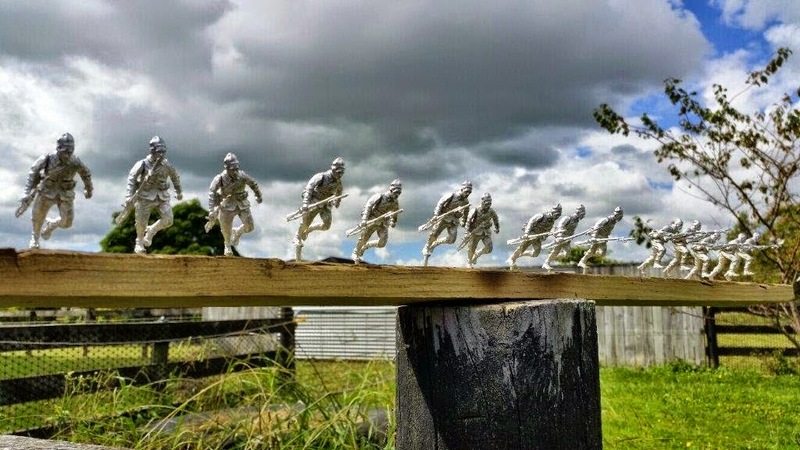 "Thank you once again to the Waikato regiment of painters." says Darcy. 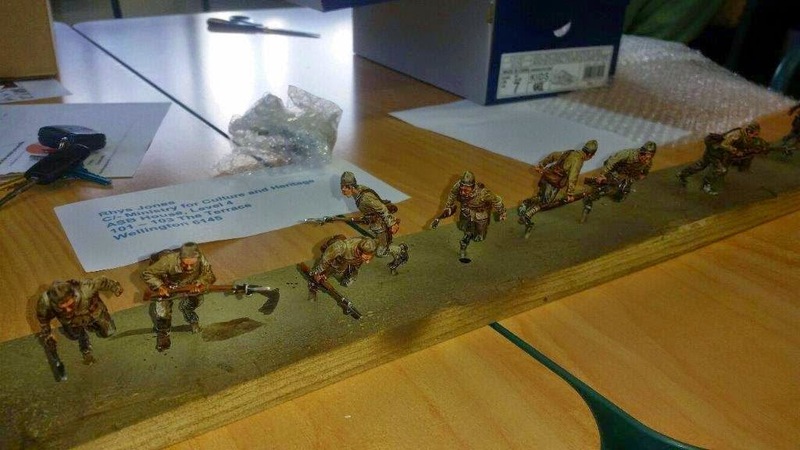 "Over 300 troops and that makes up 8% of the total of 4000 miniatures. A commendable effort." ...and Darcy's daughters, Jade, Ella and Rylee who all put paint to brush to help Dad meet the deadline. I forgot to mention my daughter's! Jade, Ella and Rylee all put paint to brush, helping dad meet the deadline. God bless them. And Timothy Lind from TRONHAMMER. A scholar and a gentleman! Thanks for the great painting everyone. And thanks for the CDs, Darcy.